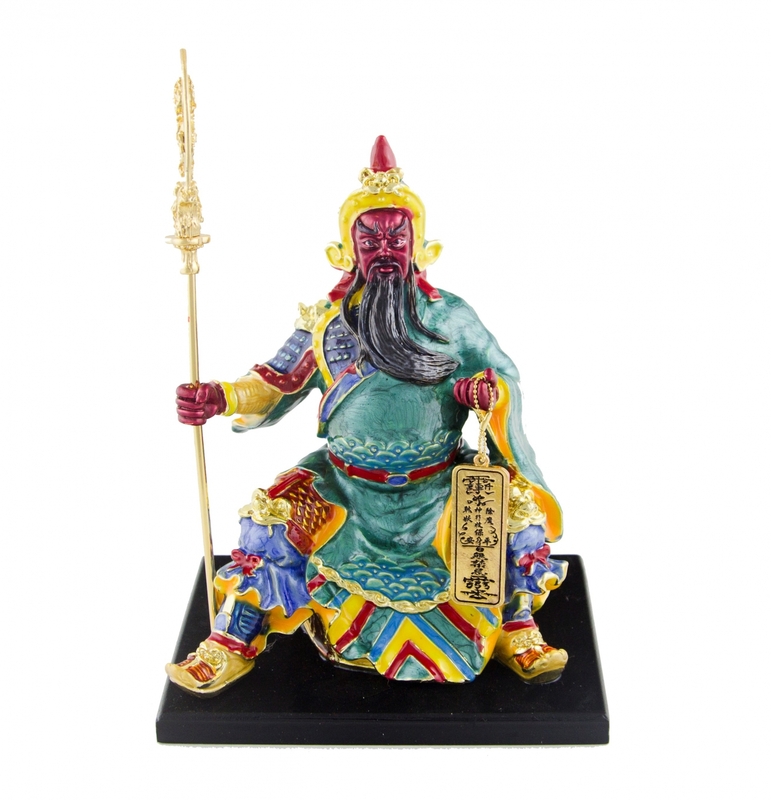 Guan Gong is the excellent god for protecting business or house. He can protect business and bring wealth to business. He can protect your business from fraud, accidents, lawsuits and embezzlement. He can ward off competitors and help your business to succeed. He is also suit for whom seeks for powers and authority. He also can watch all bad spirits and safeguard from burglary and bad people. You can display such red face sitting kwan kong in the entrance or location of flying star #7 located. The dimension of it is approx. 3.75" x 3.25" x 8.625". It is made of metal.